Medicine: The medical degree at the Pavol Jozef Šafárik University prepares you to become a doctor in the best possible way. The duration is six years, respectively twelve semesters. The international lectures at the Pavol Jozef Šafárik University in English start at the end of September each year. Awarded title: Doctor of General Medicine (MUDr. – equivalent to M.D. degree). The city of Košice is the second largest city in the Slovak Republic with approx. 250,000 inhabitants. One of the main advantages of Košice are the relatively low living costs. The eastern Slovak metropolis Košice became the European Capital of Culture in 2013. 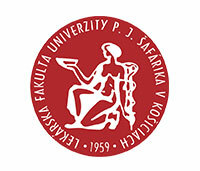 In order to be admitted to the Pavol Jozef Šafárik University, you have to pass an admission exam. This exam consists of 100 multiple-choice questions from the fields of biology and chemistry. There is no oral test. You will be provided with all the needed learning material by us, so you can prepare for the exam optimally. The degree is recognized in the USA, the European Union, the European Economic Area and other countries.